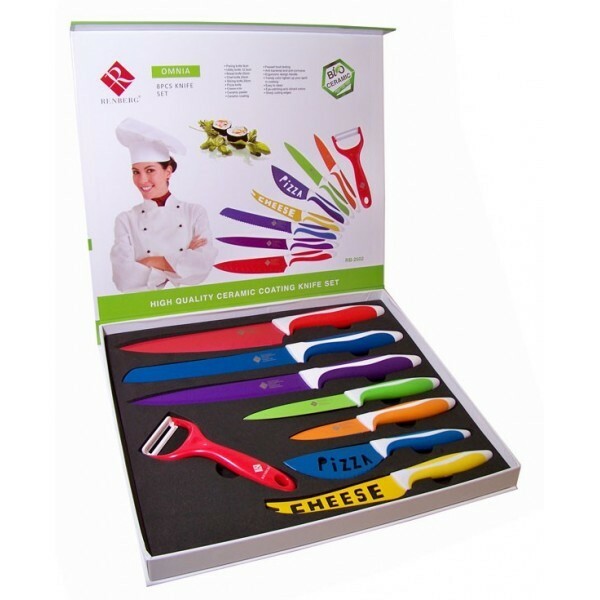 This knife set contains 8 pieces and is made of high quality stainless steel. 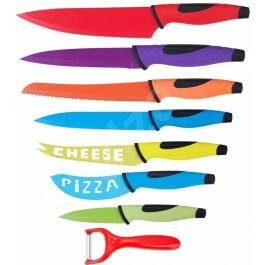 The knives are easy to clean and feature a non-stick coating. They are also anti-bacterial and anti-corrosive. 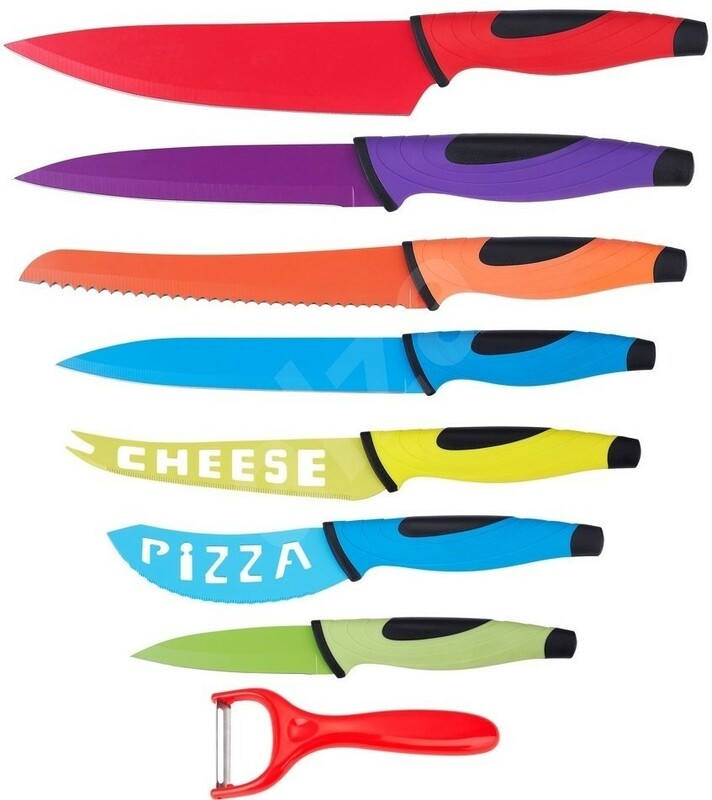 This set contains: 1 x pairing knife, 1 x utility knife, 1 x slicer knife, 1 x chef knife, 1 x bread knife, 1 x pizza knife, 1 x cheese knife and 1 x peeler.